THE proposed building of an ethanol producing plant is a better thought but it must be looked at cautiously, says Tailevu Provincial Council chairwoman Josefa Serulagilagi. 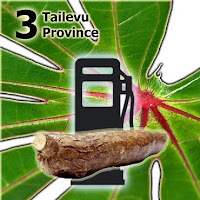 The Tailevu Province was one of several provinces mentioned by the Ministry of Agriculture as areas where big scale cassava planting could be undertaken. He said whatever cassava agriculture was done in the state was carried away on a subsistence ground. "It is significant for base to be there so that areas are available," said Mr Serulagilagi. "There was a large lump of soil in Tailevu which has get available newly because roads were constructed there. " He cited Vatukarasa and Tonia villages, saying there were new villages in the state that had a plenty of idle soil that could not be accessed because there were no appropriate roads. Mr Seruilagilagi said all he had heard about the ethanol plant was what had been published in the media. "It is a better thought but should be looked at cautiously as those in the villages will need a best cost than what they are getting for their cassava at the marketplace. "If the cost (of the cassava) is there, so I am certain they (farmers) will be for it and plant cassava. "However, regime has to go the lead character and determine whether we have the capability (to develop cassava) or if there is idle soil the facilities should be there. " Attempts to have comments from Serua Provincial Council chairwoman Atunaisa Lacabuka were failed yesterday. Last week, a Chinese deal commission suggested a $40m plant.